The Lohner-Porsche Mixte Hybrid (sometimes wrongly referred to as Löhner-Porsche) was the first hybrid vehicle developed by Ferdinand Porsche. 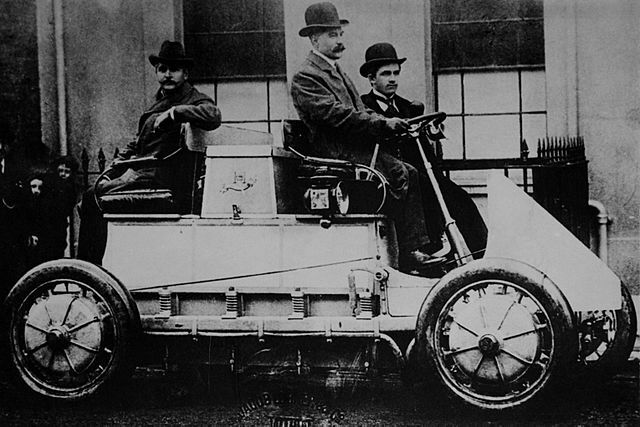 First prototypes were two-wheel drive, battery-powered electric vehicles with two front wheel hub-mounted motors. 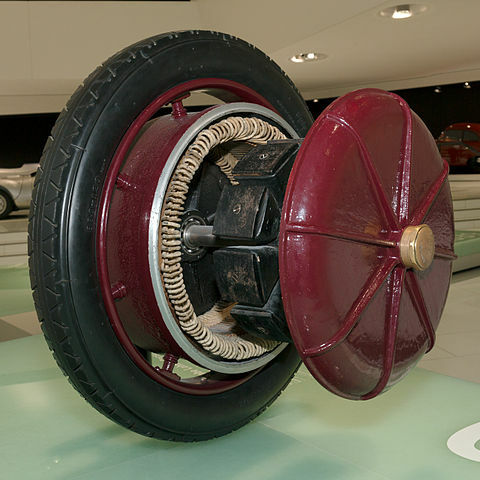 A later version was a series hybrid using hub-mounted electric motors in each wheel, powered by batteries and gasoline-engine generator. The enormous Lohner required 1.8 tonnes of batteries consisting of a 44-cell 80-volt lead-acid battery, all housed in a spring-suspended battery container to protect the fragile cells. The four electric motors weighed a total of 1280 pounds, contributing to a total vehicle weight of over 4 tonnes on its Continental pneumatic tires. With a battery capacity around 270 amp-hours and four forward speeds, the 56-horsepower coach ran in several expositions and competitions. It cost 15,000 Austrian crowns. The Lohner-Porsche’s design was studied by Boeing and NASA to create the Apollo program’s Lunar Roving Vehicle. Many of its design principles were mirrored in the Rover’s design. The series hybrid concept underpins many modern railway locomotives, and interest in series hybrid automobiles is growing rapidly.